The Role of the Hospitality Industry in the Lives of Individuals and Families explores the evolution of the hospitality industry and the relationships between hospitality providers, their families, and the guests they serve. Focusing on the human aspect of the business, this text will give hospitality providers a better understanding of the human relations issues that they or their employees may face and show them how your services affect guests. Offering research and insight into customs and traditions that have influenced modern services, The Role of the Hospitality Industry in the Lives of Individuals and Families will teach you how to better meet the needs of guests at the national or international level while learning how the industry affects employees and their lives outside of work. 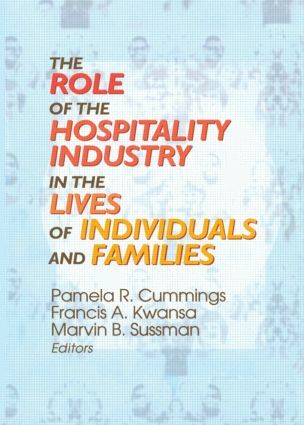 The Role of the Hospitality Industry in the Lives of Individuals and Families also examines the cultural relationships fostered by the hospitality industry as a benefit and proof of quality services. Complete with ideas for further research, this text will help you and your employees evaluate the personal effects of the hospitality industry and help provide better services to guests.